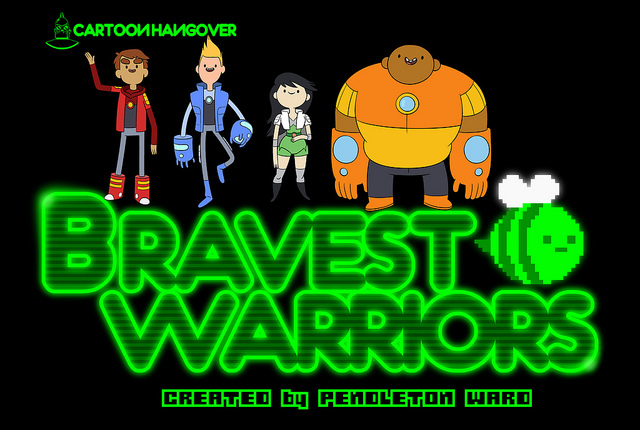 Bravest Warriors is an animated adventurous outer space series made by the creator of Adventure Time, Pendleton Ward. 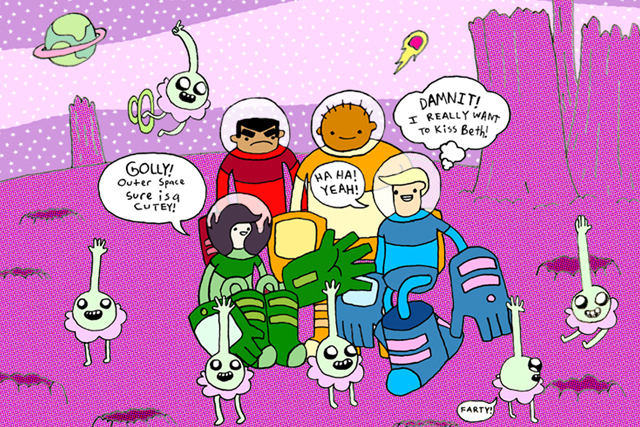 The adult-oriented series follows four teen heroes who travel the galaxy while trying to save various cute aliens, along with their home worlds. Episodes air exclusively online via the Cartoon Hangover YouTube channel. Comics based on the show are available to purchase online from BOOM! Studios. Bravest Warriors follows four teenaged heroes-for-hire as they warp through the universe to save adorable aliens and their worlds using the power of their emotions. Chris, Beth, Wallow, and Danny negotiate the most fragile laws of space-time—emotion—where every decision could lead to broken dreams and crushed hearts. There’s intergalactic battles for attention and affection; love that spans space, time, and reason; and proof that adventure takes on many, often weird, forms.